Aerobugs is pioneering new pathways for sustainable agriculture through the use of Agricultural Drones for Integrated Pest Management. Nathan Roy is the owner and director of Aerobugs. He has been farming strawberries for over 20 years and saw a need for UAV use in agriculture. His very first UAV was built around his dining room table! Nathan has attended numerous workshops and seminars with Strawberries Australia, CSIRO and DAFF which gives him enormous amounts of primary industry knowledge for primary industries. He is well respected throughout various industries and states in Australia. Team this with a love of robotics and innovation and you have a winner! Nathan has developed and continues to develop new ways for farmers to save money and potentially increase yields, something all agricultural business owners want! He works alongside his wife and business partner, who runs the office, and his 4 children are always close by and involved. There are a multitude of benefits to be gained from the use of Agricultural drones for integrated pest management. As pioneers and leaders in this industry, both in Australia and internationally, Aerobugs are the people to speak to in this field. Call Aerobugs and speak directly with owner Nathan Roy to find out how the use of this system can help your farm. While farmers know the value of scouting their crops, few actually have the time or the funds to cover the areas on foot. Plotting the field borders for flight patterns and noting potential “hot” spots. 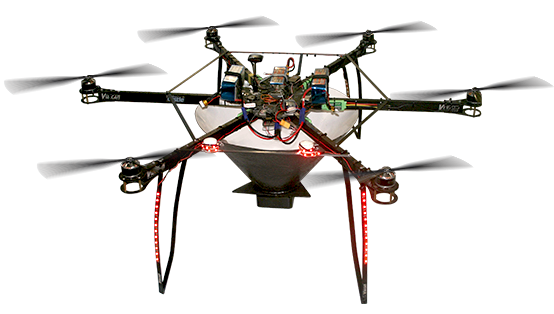 UAV’s can be very complex to setup and operate, but we can take the hassle out of the application. Attend to yield limiting problems in a timely fashion. Seeing the true health of your field in a colour contrast allows you to see what is really happening out there. working with leading insectaries Australia wide.